Ladies, we invite you to Grace Church as we join author, actress, and Christian evangelist, Priscilla Shirer, and to worship with national gospel artist, Anthony Evans, for a global Bible teaching event! Women will gather from all around the world for this one day of teaching. The event features praise and worship with a spiritual prayer time. Attendees will be challenged and encouraged to study God’s Word and grow deeper in their faith. Invite your friends, co-workers, neighbors, women's ministry, and fellow churches to participate in this unique women’s conference. 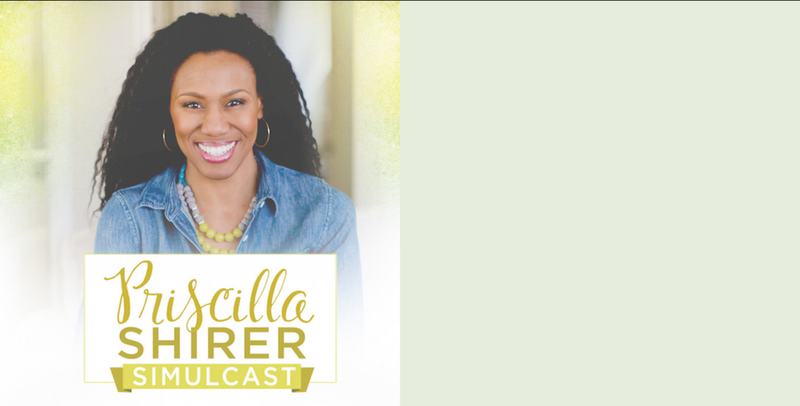 The Priscilla Shirer Simulcast kicks off on Saturday, April 28, 2018 with registration starting at 8:30 am. Programming begins at 9:00 am and ends at 4:00 pm. Tickets are $25, covering one full day of materials and breakfast snacks, lunch, afternoon snacks, coffee/tea and water.